Give your children’s creative muses a big boost with this set of Kid Made Modern Colored Pencils. These professional-quality pencils are in a range of beautiful, vivid colors so your kids can let their imaginations run wild—make room on the refrigerator door and your corkboard at work to display the work of your little geniuses. The Kid Made Modern Colored Pencils set includes 36 pencils in storage box for easy organizing. Making with MoMA is a collection of thoughtfully designed arts kits and tools for children designed to foster the Museum’s mission that people of all ages and abilities enjoy, understand and take inspiration from the art of our time in ways that add value to their lives. 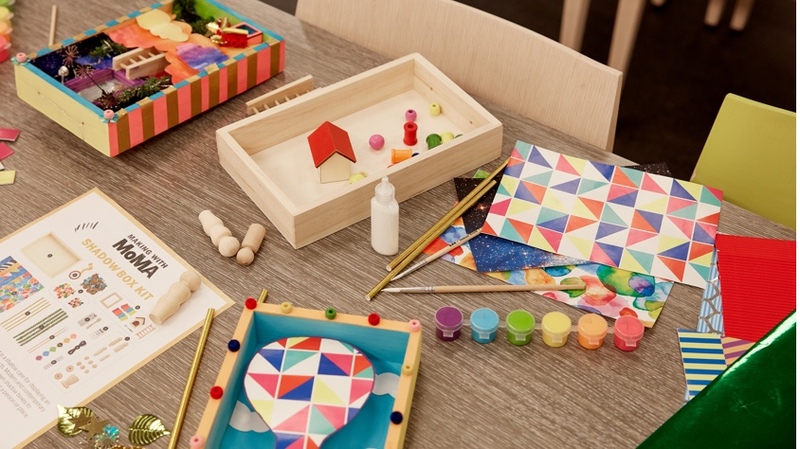 Drawing inspiration from popular workshops and family programs at The Museum of Modern Art and conceived by the Museum’s education and curatorial departments with Kid Made Modern’s founder Todd Oldham, Making with MoMA offers children fun and creative ways to explore art and art- making. Discover them at our Making with MoMA Pop-Up at MoMA Design Store, Soho, through May 5.